Walk to a ballgame, a concert, restaurants and clubs. It's all here at American Tobacco, the epicenter of the Durham Renaissance. Living at American Tobacco has its advantages. Right across the street, take in a season of the Durham Bulls, one of America's most storied baseball franchises. Prefer the arts? See a Broadway show or take in a concert at DPAC. Food? Enjoy some craft brews at Tyler's or Tobacco Road or wander up to Bull City Brewing Company. Stroll over to Beyu Caffe for some crepes. All in all, American Tobacco might be the best small city experience in the United States. Read more about the Neighborhood. 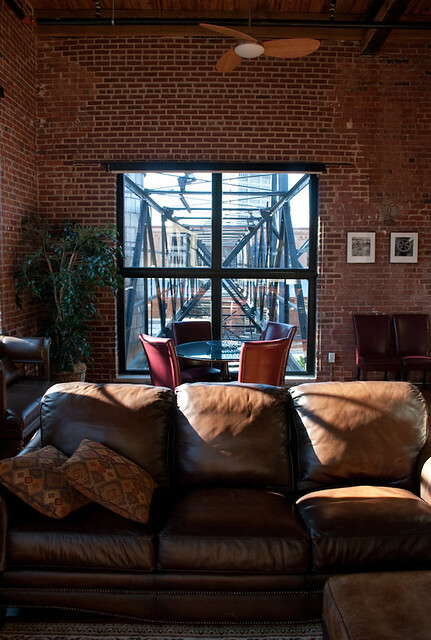 Be a part of history - live in Old Bull, the original Bull Durham factory. Built in 1874, it's the oldest commercial building in Durham and an icon of the industrial revolution. Does a rooftop terrace sound like your style? Then consider a residence in Noell, built in 1902. Each residence has a rooftop terrace overlooking American Tobacco and the Durham skyline. Visit LivingAmericanTobacco for more information.